NUTS AND BOLTS OF THE IRAN DEAL: IS IT REALLY BAD? Fair is fair, but when we pit two guys with little negotiating experience against the shrewd and conniving folks from Tehran and tell them to hash out a deal, this is not just simply unfair  we are setting our negotiators up to fail. And so the result is completely predictable. I'm sure the Iranians had a swell time doing a number on these two Laurel-and-Hardy-like characters. 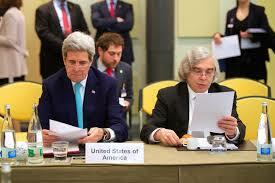 Heck, I'd like a chance to sell a used car to Kerry and Moniz myself. It would be simple and fun. But let's go back a while and see how we arrived at this miserable end. THIS WHOLE IRAN DEAL WAS A TWO-ACT PLAY. First was negotiating the deal, second was selling it to the American public. There were also a few sideshows. Perhaps the most important of these was to outwit Congress and implement a mechanism that would allow the JCPOA to gain approval with the support of only one-third of the legislature. Politically, the deal's conditions were not critically important to Obama. Any resulting problems will take time to surface, and in all likelihood will be left at the doorstep of the next president. For Obama, what counted was to get something signed. And do it fast. Something, that could be sold to the American people. Given the lack of experienced foreign policy advisers in the president's inner circle, Obama had to make do with Kerry and Moniz. The result? The deal that was signed on July 14, 2015 by the United States and the six other countries. Theoretically, Kerry was not alone; there were five other countries available to offer help. But the quality of these helpers was sorely lacking. Russia, in fact, was in Iran's court, and China's sympathies were also very questionable  their primary concern was and is the health of their weapons manufacturing industry. France and Germany? These guys had their real negotiators on the planes to Tehran before the ink dried on the "deal". They were in a hurry to ink lucrative contracts with Iran, to sell weapons, buy oil and make lots of money. The announced purpose of deal was to stop Iran from acquiring nuclear technology and enrichment capabilities. This was stated many times by the Obama administration. 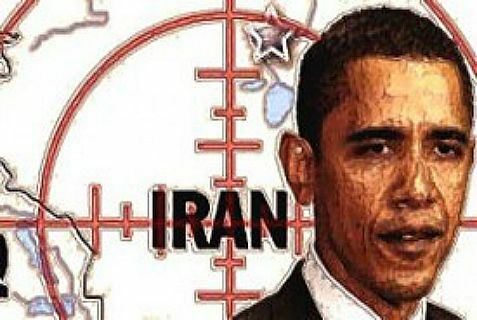 What the president failed to tell us, and which we have just recently learned from the Iranians themselves, was that Obama promised as far back as 2011 that Iran would be allowed to retain all the segments of the nuclear fuel cycle. The deal was also supposed to take into account that Iran is run by a duplicitous, violent and ruthless regime that has a well-documented history of cheating on agreements and a strong desire to acquire nukes. It appears now, that at least the "duplicitous" part can be applied equally to our own administration. The United States had very potent arguments available. In fact, we were in a stronger position than Don Corleone when he made an offer that couldn't be refused. For starters, we had an overwhelming economic and financial advantage. Just the mild sanctions we imposed brought the Iranians to the negotiating table. Increasing the sanctions would provide an irresistible impetus for the Iranians to accept almost any offer. And we had other very credible threats in reserve. Threats like a blockade of Iranian ports, the complete wrecking of Iran's banking system, support for Iran's opposition that Obama failed to provide in 2009, and so on. In the background was the threat of military strikes: surgical strikes to destroy Iranian nuclear plants, their missile facilities, and their long-range bombers. Threats are often way more effective than an actual war. What negotiating tools did Iranians have in their toolbox? NONE. Well, not quite none. They had clever negotiators. "..Iran will carry out its uranium enrichment-related activities, including safeguarded R&D exclusively in the Natanz Enrichment facility.." (Paragraph 5, page 7) using 5060 centrifuges (Paragraph 2, page 6). Additionally, "1044 IR-1 centrifuges ... will remain in one wing at Fordow." (Paragraph 6). Paragraph 1 states that, all of Iran's nuclear activities shall be "for exclusively peaceful purposes". Paragraph 72 in Annex I (page 41) reinforces this: ". For 15 years, the Natanz enrichment site will be the sole location for all of Iran's uranium enrichment related activities including safeguarded R&D." So far so good. Iran can store up to 300 KG of 3.67% low-enriched uranium hexafluoride, but additionally it can store other uranium found in fabricated fuel assemblies, provided by Russia or others, for "use in Iran's nuclear reactors" without specifying the level of enrichment of this additional uranium. (Paragraph 7, page 8) For further specifications, the contract refers the reader to Annex I. There. in paragraph 59, pages 35-36, one reads, "enriched uranium in fabricated fuel assemblies from other sources outside of Iran for use in Iran's nuclear research and power reactors...... which are certified by the fuel supplier and the appropriate Iranian authority to meet international standards, will not count against the 300 kg UF6 stockpile limit." Now, here is a huge legal loophole through which you can drive the proverbial 'Schwarzenegger Hummer'-a Hummer full of highly enriched uranium-certified only by the supplier (Russia) and the recipient (Iran). Do we have any doubts that these two bad actors will have any problem with producing such certifications? This clearly opens doors for Iran to stockpile lots of enriched uranium over and above the 300KG limit. The now-infamous 24-day inspection delay is dealt with in Annex I, Paragraph 78. There, the JCPOA (the agreement) specifies that if the IAEA (International Atomic Energy Agency) suspects that nuclear material or equipment is stored illegally, then it can ask Iran for explanations. "If Iran's explanations do not resolve the IAEA's concerns, the Agency may request access to such locations for the sole reason to verify the absence of undeclared nuclear materials". (Paragraph 76, page 43) If these explanations are not satisfactory, then the IAEA can apply to the JCPOA commission to authorize inspections. All in all, this can (read: will) take an additional 24 days (Paragraph 78, page 43). The kicker is not only that Iran will have ample time to hide the offending items. But only "by a vote of 5 or more of its 8 members,[the Joint Commission] would advise on the necessary means to resolve the IAEA's concerns." However, the Western countries combined have a total of only four votes (Germany, France, UK, USA). It will need to muster an extra vote to pass the inspection resolution. Good luck with that. Defenders of the Iran deal say that the latent radiation will still linger in such inspected locations, giving away Iran's transgression. This is not a valid argument. Radiation lasts thousands of years. Iran can easily claim that this was some old radiation from decades ago. In order to obfuscate still further, Iran can plant some other source of radiation to modify the spectrum of emitted radiation. There is no way to surmise exactly what kind of equipment caused the given radiation. The possibilities to frustrate the work of the IAEA inspectors are endless. Iran will not only get access to tons of cash. Significantly, it will be getting lots of help to develop their nuclear industry, including protection from outside sabotage. (Yes, as written, the United States will be required to protect Iran, despite Secretary Kerry's hemming and hawing when asked specifically whether this was true.) It will have access to lots of sophisticated nuclear-industry equipment. It can buy any items as long as they are not clearly designated to produce nuclear weapons. The appropriate provisions of the agreement are numerous. Check pages 17 or 22 for just a sampling of such detailed arrangements. Iran is free to buy the stuff in the open market. Lots of nuclear technology is dual use. Free access to such modern technology will tremendously improve Iran's nuclear capabilities. In case of blatant cheating by Iran, the UN might reimpose the sanctions (Paragraph 37, page 20), or leave the lifting of sanctions intact. Here, in the text of Paragraph 37, is a real doozy: "These provisions [reimposed sanctions] would not apply with retroactive effect to contracts signed between any party and Iran or Iranian individuals and entities prior to the date of application, provided that the activities contemplated under and execution of such contracts are consistent with this JCPOA [agreement]." There are other huge loopholes that allow Iran to cheat with impunity, like Paragraph 69 (page 40) that stipulates that Iran will provide the IAEA data to check compliance on uranium production. The IAEA inspectors should be the ones that collect such data, instead of relying on Iran to provide it. I don't suppose that Iran will blow the whistle on itself and report its own non-compliance. And then there are the still-secret agreements between Iran and the IAEA which, according to reports, lets Iran  and prevents the IAEA  from collecting soil samples at the Fordo nuclear site. I think you get the picture. This agreement is full of loopholes and gives Iran more-than-ample opportunity to cheat. What is also troubling is the stuff that is missing but should be included in this agreement. From page 73 to 134, the agreement includes a very long list of various individuals, companies, transportation units, and entities related to the sanction regimen. Unlike the completeness of this list, the parties did not find it necessary to enumerate all the known Iranian nuclear sites. There should be a list of all the sites, which number about 70, instead of making reference to just a few: Fordow, TNRC, Arak and Natanz. What about Bushehr, Darkovin, Isfahan, Parchin, Ardakan and others? The agreement should include provisions to inspect all these sites and provide for periodical re-inspections or permanent online controls. None of this is in this JCPOA agreement, which makes it practically useless from the point of verification and compliance. Iran is practically free to do as it pleases in all these locations. This whole deal is completely one-sided. It gives Iran all the privileges, including access to as much as $150 billion, removal of sanctions, and access to nuclear and military technologies. Some of this is delayed by eight to 15 years, but lots of these technologies are accessible almost immediately. Most of the trade sanctions are also voided. How could this have happened? It is a tribute to a good team of negotiators like the Iranians can run circles around amateurs, even if they were dealt a very weak hand. NOW WE ARE WITNESSING THE SECOND ACT OF THIS DISASTROUS PLAY. President Obama, the White House and some members of the Democratic Party including Nancy Pelosi trying to sell this destructive agreement to the American public. Here, the pro-agreement team is much more experienced than the one that negotiated this boondoggle deal. President Obama knows how to strong-arm allies and threaten opponents. He was able to vilify some of the biggest opponents including Israel and its prime minister. Recently, he turned his wrath against Democratic Senator Chuck Schumer, who denounced the agreement. Putting lipstick on a pig is not an easy job, but our president has a lot of experience. One of his tactics is the blatantly-false claim that the only two choices are the Kerry-negotiated agreement or war. It's obvious to anyone with a brain that plugging some of the myriad holes in the JCPOA document would make for a better deal, without war  and continued, strengthened sanctions can bring this about. Even worse, Obama has been flirting with well-worn anti-Semitic tropes (dual loyalty, buying off politicians with campaign donations, etc.). We are now playing for very high stakes. Much higher than with any other initiative of President Obama. This agreement will lead to a nuclear Iran. It will also lead to a nuclear arms race in the entire Middle East. Many ME countries fear a nuclear and aggressive Iran with far-reaching geopolitical designs. This is why we can expect that countries like Saudi Arabia, Turkey, Egypt, Jordan and others will start looking actively for their own nuclear deterrent. Thus, this agreement is extremely dangerous. No effort should be spared by Democrats, Republicans and just about anybody to repudiate this self-destructive folly.